Your little sweat heart will Always be Rosie with this fantastic set of 4, double sided burp cloths and matching bib. With their floral theme you can watch your babe Blossom and Grow. 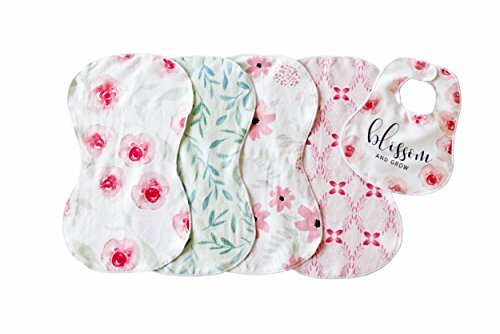 These practical, high quality, very absorbent, design and trend driven burp cloths are something that all mommies and daddies are going to love. ULTRA-ABSORBENT AND SOFT- The microfiber fibers work together to trap moisture quickly, to catch everything fast and keep you and your baby clean all day long! While still having the baby softness that you need to wipe tiny faces. If you have any questions about this product by Imperfect Penelopy, contact us by completing and submitting the form below. If you are looking for a specif part number, please include it with your message.